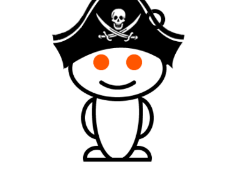 A popular section of Reddit devoted to piracy discussion was shut down last night following a dispute that boiled over into mutiny. After being helped by Reddit's admins, the people now in charge of /r/piracy say that a former moderator went rogue, promoting his own 'fake' websites, while holding threads hostage and censoring critique. For millions of people, Reddit is one of the most popular sources of news online. Arguably, though, the site’s real value lies with its users. Like any community, Reddit user comments can range from the brilliantly informed to the deliberately destructive. But, more often than not, the weight of the crowd tends to get to the truth, sometimes with the help of the site’s moderators. Each section of Reddit (known as a ‘sub-Reddit’), is dedicated to a particular topic and is controlled by a team of moderators. While mileage can vary, moderators tend to do a good job and are often relied upon to settle disputes and hold errant users to the rules. Last night in /r/piracy (a sub-Reddit with close to 100,000 subscribers) one moderator went rogue, which resulted in the sub-Reddit being shut down. According to one of the moderators now in charge of /r/piracy, a now-former moderator by the name of Samewhiterabbits committed a sin by using the sub-Reddit to further his own agenda. ‘Dysgraphical’ says that the problems started when Samewhiterabbits began heavily spamming the ‘sub’ with links to his own streaming website projects. Apparently, this has been going on for some time, with Samewhiterabbits standing accused of launching, promoting and spamming websites that have the same names as existing and/or defunct platforms, but claiming them to be the real deal. “Samewhiterabbits is using r/Piracy as a platform to spam his monetized website forks which he claims as official,” Dysgraphical said in a statement. “This isn’t recent activity but rather his model. He capitalizes from streaming sites that were shutdown and spams his new domain(s) as the new home for the aforementioned streaming site. After another post appeared promoting ‘popular streaming sites’ that the /r/piracy team as a whole had no hand in, moderators including Dysgraphical and TheWalkingTroll stepped in to sort out the problem. They were met with resistance, with Samewhiterabbit – who still had moderator powers – taking several popular threads ‘hostage’ and stopping the rest of the mod team from ending the wave of misleading spam. “He has held several threads hostage by locking/removing them to censor any critique or mention of his shady wrongdoings. With limited moderation privileges, the most we can do at the moment is delete his threads,” Dysgraphical reported last night. While sorting out the problem, /r/piracy was shutdown or, more accurately, made ‘private’. Then, in order to move forward, the moderators applied for more power (known as ‘permissions’ in forum speak) to remove the errant mod from the team. To achieve that, an application was made to Reddit’s admins (those at the top of the site) who responded extremely quickly to help sort out the mess. “A few of us now have full permissions. Thankfully the admins were rather quick in their response (given they can take several days) and we got this sorted quickly,” Dysgraphical reports. Once that power was in the right hands, justice was served in the manner determined by the rest of the team. A few hours ago, Samewhiterabbits was reported banned from /r/piracy and everything started to get back to normal. While online ‘drama’ like this predates the Internet, this particular situation does highlight the importance of having responsible moderators on any discussion platform. There is often an assumption that these figures are in authority because they can be trusted, but that is not necessarily so.